Perfect for Gifts, Greeting Cards, Holiday Letters, or Just Because! 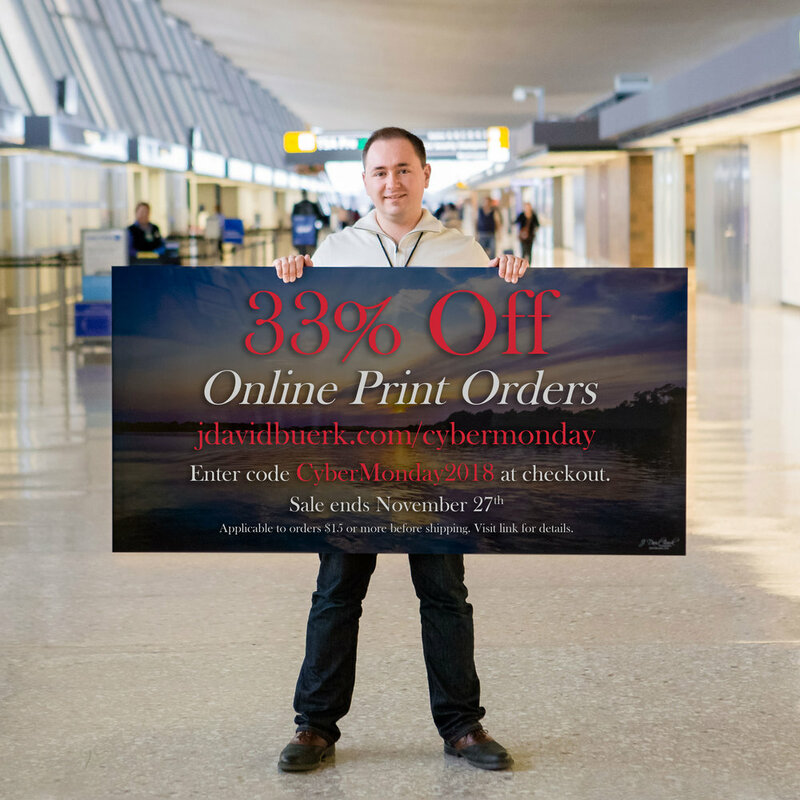 Enter code CyberMonday2018 at checkout and get 33% off your cart total when you spend $15 or more on print products at jdavidbuerk.com! Choose from a wide assortment of products available online, including photo prints, mounted, canvas, and framed wall hangings, greeting cards, mugs, Christmas ornaments, photo puzzles, iPhone cases, and more! This offer only applies to print orders made at clients.jdbphoto.com. You must apply the discount code at checkout. Offer does not apply to bespoke print services including but not limited to wedding / engagement / photo albums, USB drives, storage boxes, vinyl graphics, and custom acrylic wall hangings, shipping costs, or photography session fees. If you are trying to access photos in a password protected gallery, please contact the gallery’s original customer for permission to access - J. David Buerk - Photography only releases gallery passwords to the original customers / authorized parties. For example, please contact the bride and groom for access to wedding galleries. Hurry; this deal ends 11:59PM Monday, November 26th, 2018!